We start 2nd grade on Monday the 5th of June, and I thought that I'd give you a preview of what our curriculum looks like for this year. We are doing the full LifePac 5 subject set, with Horizons penmanship too. This is what the full set looks like and you can get is from Alpha Omega - that's where I've gotten all of our homeschool curricula it's easy for us to follow and I love the quality of each of the items that they produce. Both of the boys seem to enjoy it -- as much as 2 kids can enjoy school work, but they don't complain about it being too hard or things like that. The most complaint I get about it is sometimes it's too much writing. The only other complaint is just having to do anything at all. Are you interested in teaching your second grade child math lessons using the best-selling LIFEPAC homeschool curriculum, but already have a teacher's guide? We've got just the solution to meet your needs. The LIFEPAC 2nd Grade Math 10-Unit Set was created with families like yours in mind! This mastery-based math program contains ten colorful worktexts designed for growing math students. As your student progresses through this ten-part series, he will learn about numbers, place value, adding with carrying, subtracting with borrowing, fractions, measurement, coin conversion, time, directions, temperature, and much more! Each second grade math worktext in this Alpha Omega curriculum offers step-by-step lessons, fun activities, and lots of colorful illustrations—all designed to encourage mastery of taught concepts. But let's take a closer look. The LIFEPAC 2nd Grade Math 10-Unit Set has child-friendly lessons that include fill-in-the-blank questions, puzzle activities, and graphing problems, to name just a few. And unlike big bulky textbooks, your child will be able to easily complete each of these slim worktexts in as little as three to four weeks, ensuring a regular sense of accomplishment! To encourage mastery of each taught concept, each worktext also contains concept reviews, self tests, and an end-of-unit test. It simply doesn't get any easier than this! 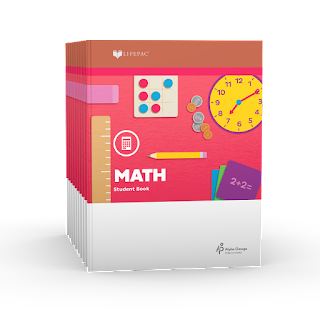 Order your LIFEPAC 2nd Grade Math 10-Unit Set without the teacher's guide today! Feeling overwhelmed by the thought of trying to teach language arts to your child? Need a great homeschool curriculum to help you with the job, but feel like you don't need the teacher's guide? You've come to the right place! LIFEPAC 2nd Grade Language Arts 10-Unit Set may be exactly what you're looking for! This Alpha Omega curriculum set contains ten, full-color worktexts created especially for growing readers. Each Bible-based second grade language arts worktext offers a mix of colorful illustrations, easy to follow lessons, and ample opportunity for both oral and written practice of new skills. This unique, integrated language arts course provides instruction in grammar, writing, reading, and spelling! Topics covered include: phrases, sentences, capitals, punctuation, creative writing, contractions, root words, dictionary skills, cursive writing, singular and plural verbs, verb tense, suffixes, ABC order, and a continuation of the study of phonics. But that's just the beginning! The LIFEPAC 2nd Grade Language Arts 10-Unit Set contains easy-to-follow lessons which include a variety of fill-in-the-blank questions, oral and written exercises, penmanship practice, spelling lessons, and much more. Plus, since each engaging worktext can be completed in as little as three to four weeks, your student will experience a regular sense of accomplishment at the completion of each one! And each LIFEPAC worktext in this Alpha Omega curriculum also includes concept reviews and self tests to reinforce and solidify comprehension—plus a removable teacher-administered unit test. Sounds great, doesn't it? 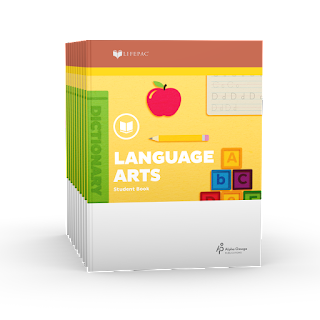 Don't wait—order the best-selling LIFEPAC 2nd Grade Language Arts 10-Unit Set today. Are you interested in teaching your second grade child Bible lessons using the best-selling LIFEPAC curriculum, but already have a teacher's guide? We've got the perfect solution to meet your needs. The LIFEPAC 2nd Grade Bible 10-Unit Set was created with families like yours in mind! This Alpha Omega curriculum set contains ten colorful worktexts designed for young readers. Using the King James Version of the Bible, lessons from units on The Story of Moses, God and You, David's Sling, The Story of Joseph, God and the Family, and God Made the Nations will captivate your child's interest. Each second grade Bible worktext offers step-by-step lessons, fun activities, and lots colorful illustrations. But let's take a closer look. 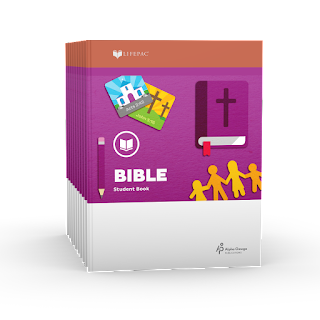 The LIFEPAC 2nd Grade Bible 10-Unit Set has child-friendly lessons that include fill-in-the-blank questions, puzzle activities, and hands-on drawing assignments, to name just a few. And unlike big bulky textbooks, your child will be able to easily complete each of these slim worktexts in as little as three to four weeks, ensuring a regular sense of accomplishment! To encourage mastery of each concept taught, each worktext also contains concept reviews, self tests, and an end-of-unit test. It simply doesn't get any easier than this! Order your LIFEPAC 2nd Grade Bible 10-Unit Set today! 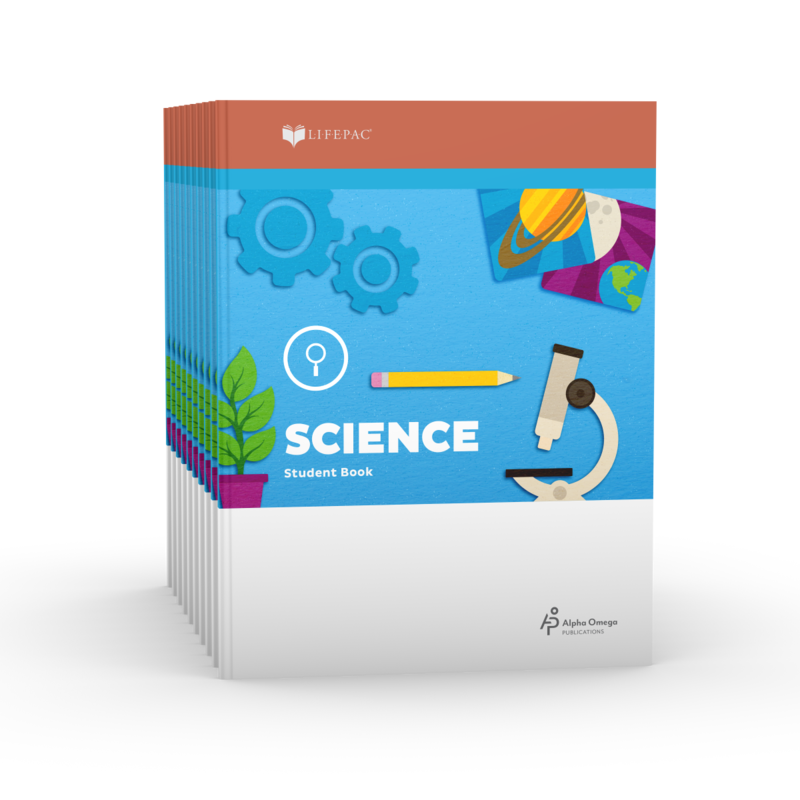 Are you interested in teaching your second grade child science lessons using the best-selling LIFEPAC homeschool curriculum, but already have a teacher's guide? We've got just the solution to meet your needs. The LIFEPAC 2nd Grade Science 10-Unit Set was created with families like yours in mind! This mastery-based science program contains ten colorful worktexts designed for young science students. As your student progresses through this ten-part series, he will learn about the world that God created—living things, non-living things, plants, animals, pet and plant care, five senses, physical properties, and much more! Each second grade science worktext in this Alpha Omega curriculum offers easy-to-follow lessons, fun activities, and lots of colorful illustrations—all designed to encourage mastery of taught concepts. But let's take a closer look. 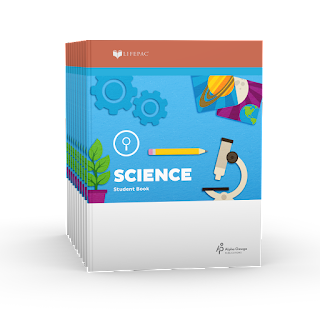 The LIFEPAC 2nd Grade Science 10-Unit Set has child-friendly lessons that include fill-in-the-blank questions, puzzle activities, and plenty of hands-on science experiments. 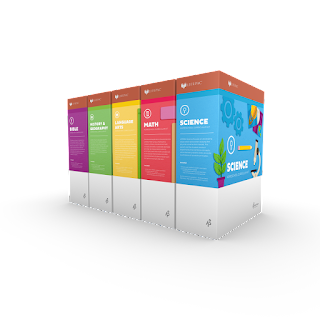 And unlike big bulky textbooks, your child will be able to easily complete each of these slim science worktexts in as little as three to four weeks, ensuring a regular sense of accomplishment! To encourage mastery of each taught concept, each worktext also contains concept reviews, self tests, and an end-of-unit test. It simply doesn't get any easier than this! Order your LIFEPAC 2nd Grade Science 10-Unit Set without the teacher's guide today! Teach your second grader the basics of U.S. history with the LIFEPAC 2nd Grade History & Geography 10-Unit Set! This curriculum contains ten, full-color worktexts created especially for growing readers. Each worktext offers a mix of colorful illustrations, easy to follow lessons, and ample opportunity for both oral and written practice of learned concepts. From the War of Independence to westward expansion, this U.S. history course covers the trail of the Native Americans, the different branches of the government, westward expansion, and America’s pioneers. The course also includes a comprehensive study of maps. 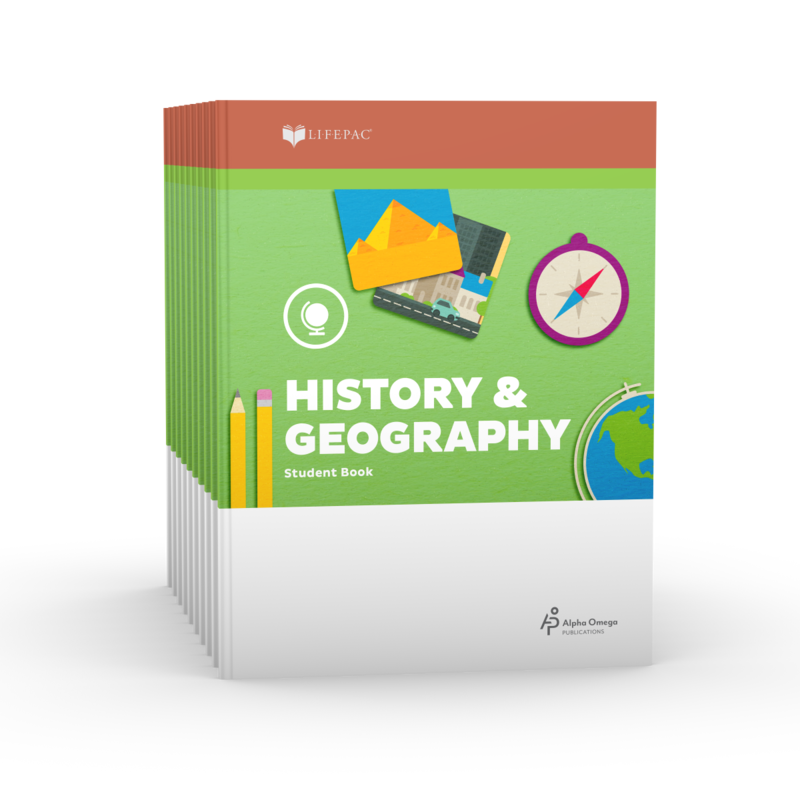 The LIFEPAC 2nd Grade History & Geography 10-Unit Set provides the opportunity for a unique individualized learning approach for your child. Since each self-paced worktext can be completed in as little as three to four weeks, students experience a sense of accomplishment at the completion of each one! In addition, regular self tests and an end-of-unit test provide ample opportunity for assessment of student progress. Friendly, colorful cartoon characters make manuscript handwriting fun in this Bible-based Christian schools penmanship course from Alpha Omega Publications. Each lesson and activity in the Horizons 1st Grade Penmanship Set student workbook promotes increased control when forming upper- and lower-case letters on ½″ lines as well as a basic understanding of capitalization and punctuation rules. Plus, beautifully bordered pages provide writing practicing for weekly Scripture verses; bordered pages can be copied, decorated, and shared with others. But there's even more! 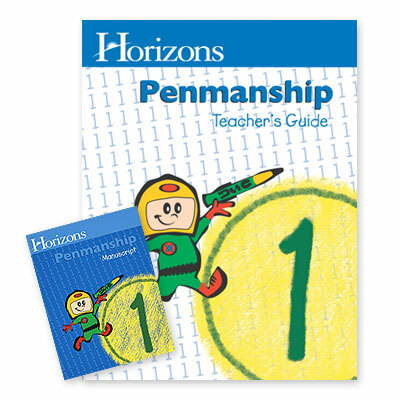 The Horizons 1st Grade Penmanship Set also includes a comprehensive teacher's guide with reproducible practice pages and daily lesson plans. Practical teaching tips, activities, and illustrations make the most of your teaching time so your child will be writing manuscript in no time at all! Sound fantastic? It is. Teaching penmanship has never been so easy or worthwhile. See for yourself. Order the Horizons 1st Grade Penmanship Set today and enjoy every hand-written, heart-felt expression of your child's love! This is everything we'll be working on this year -- and I can't wait to get started! The boys aren't quite as excited, but they don't know how our schedule will be different this year as we do 6 weeks of school and then get 2 weeks off to do field trips with our friends. I was just chatting with the other moms tonight about the trips we'd like to take -- and I think they'll be well rewarded for their hard work. I love our little group - we are small, but we sure to have a good time together.